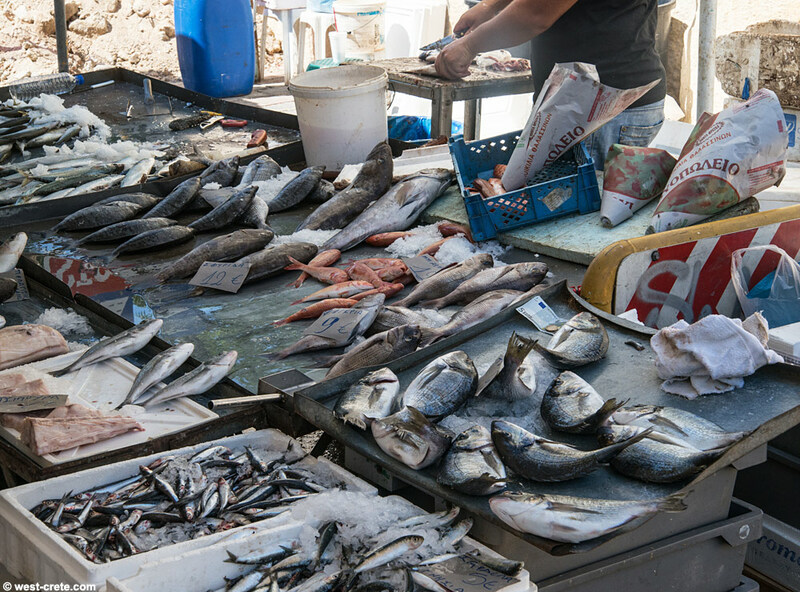 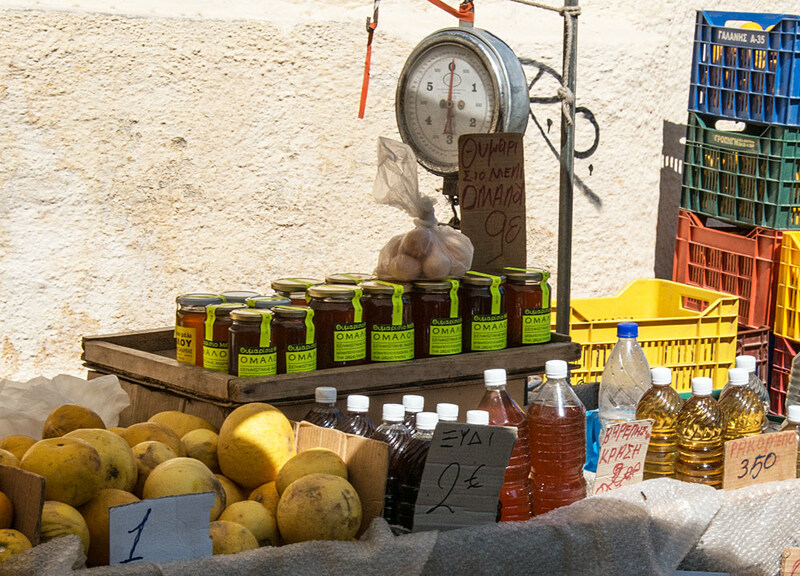 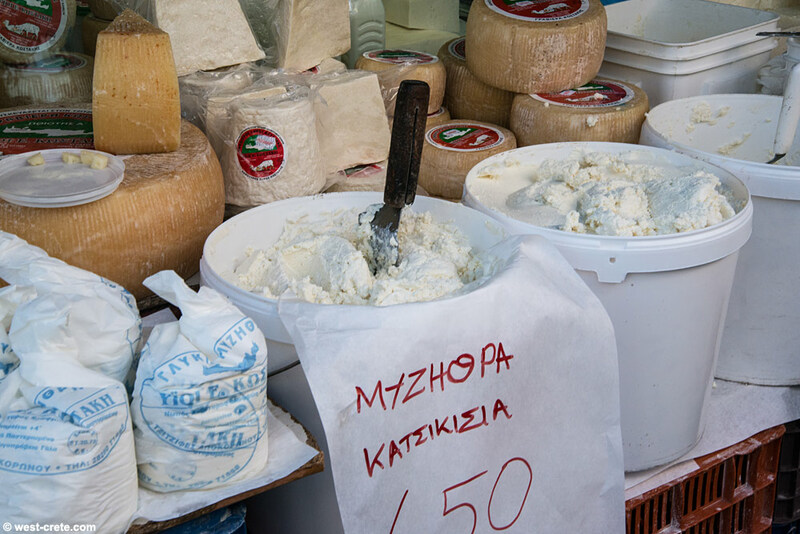 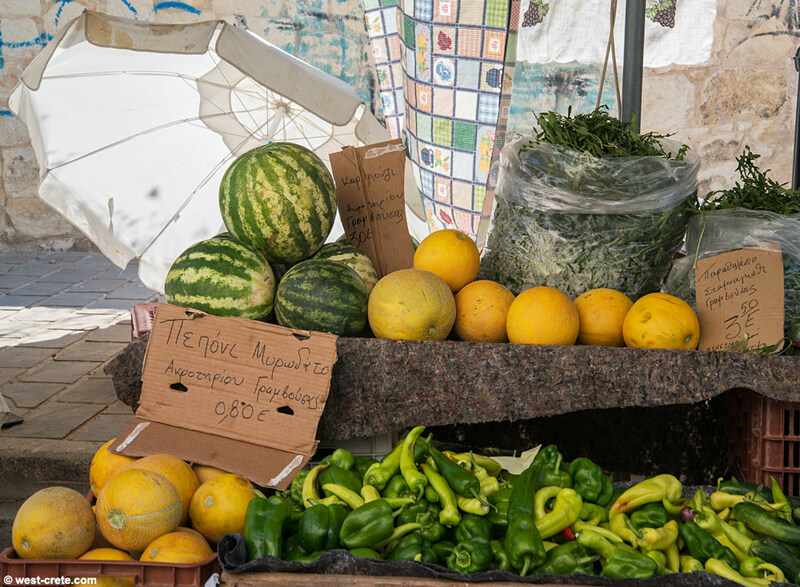 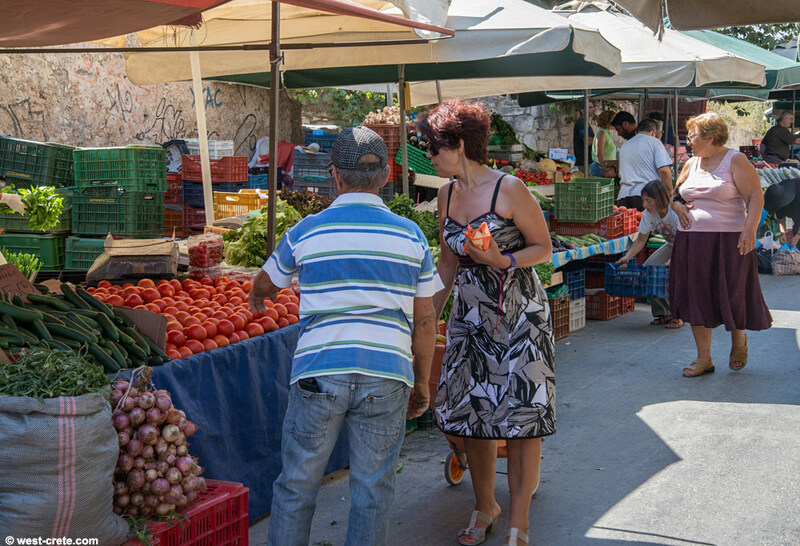 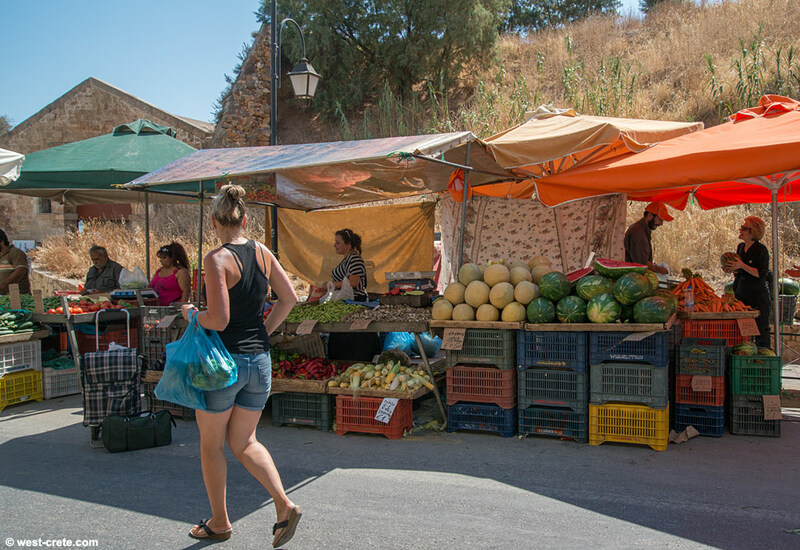 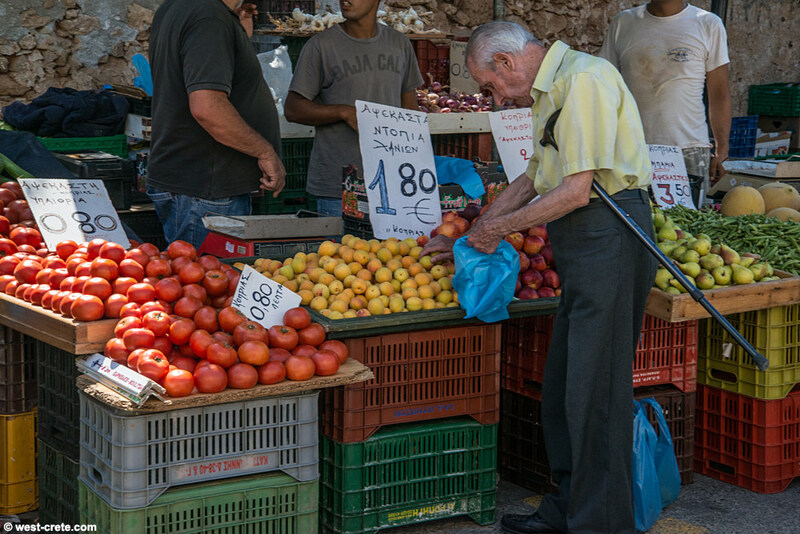 Most towns in Crete have weekly markets. 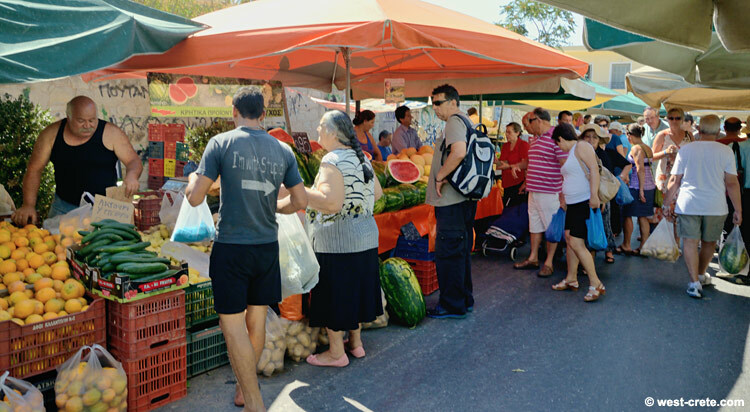 Chania being a larger town has them on 4 days of the week (Monday, Wednesday, Thursday and Saturday) at different locations (see map below). 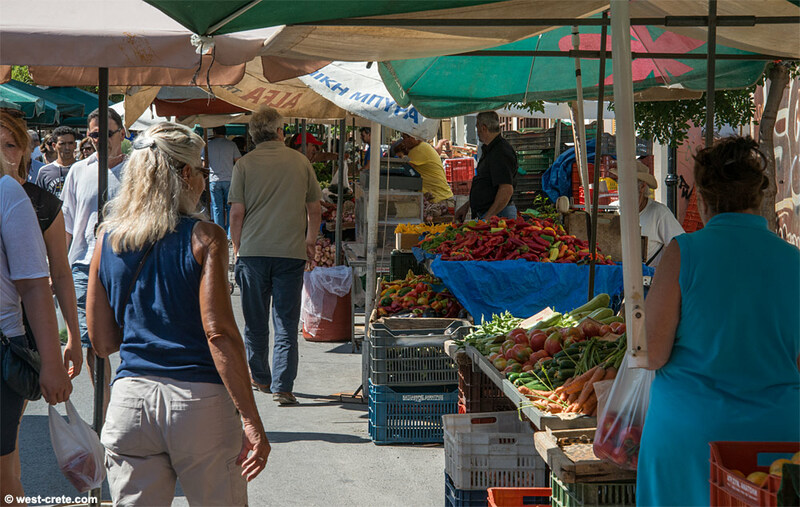 These markets are not at all for tourists but they are still really nice to visit if you want to enjoy 'normal' domestic Cretan life. 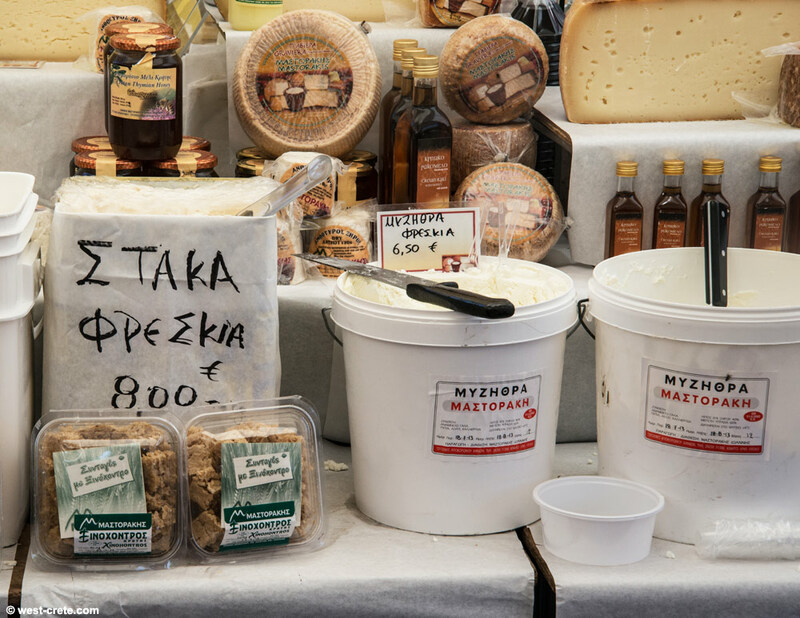 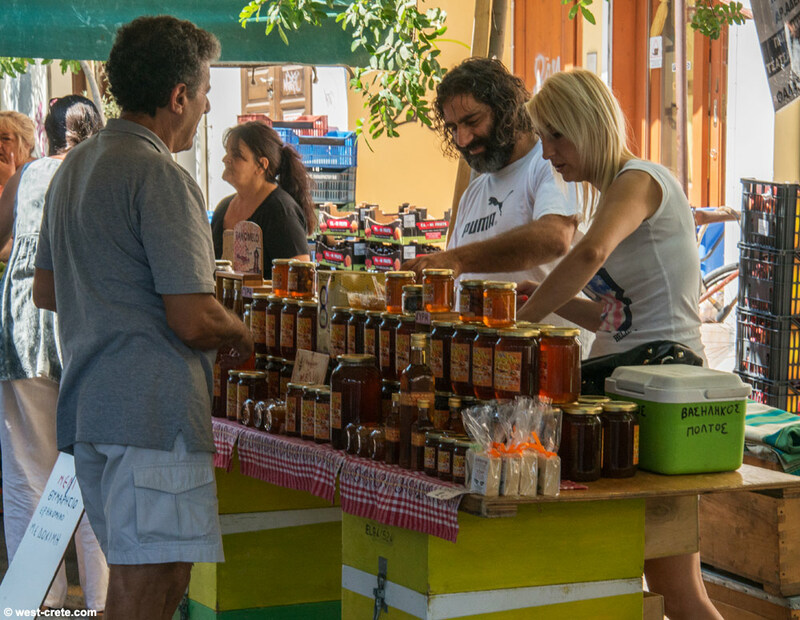 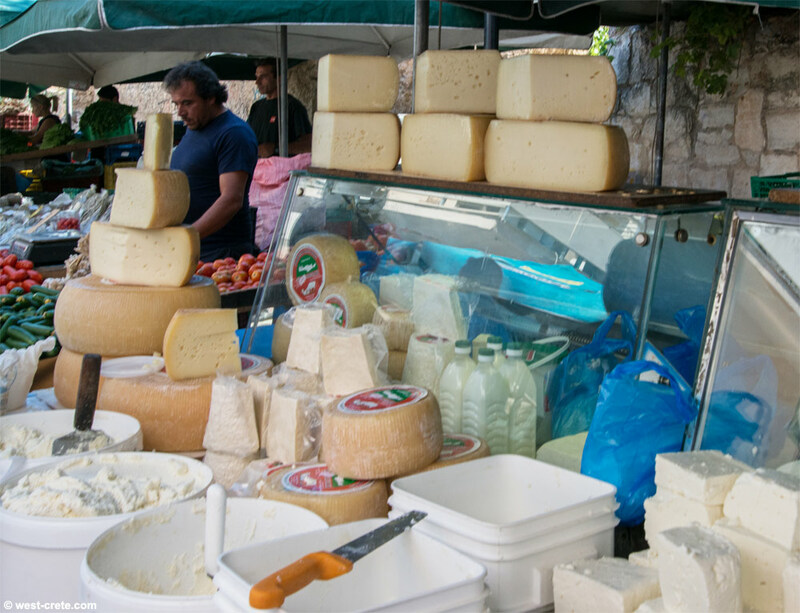 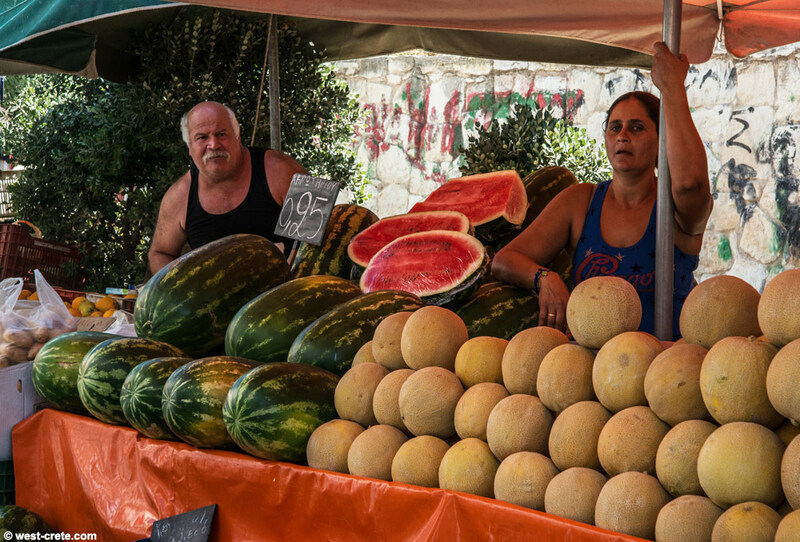 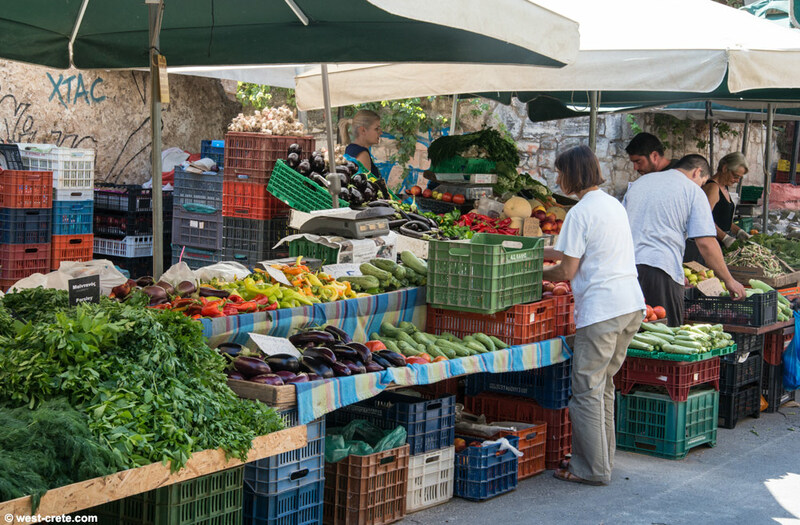 Most of what is for sale is locally grown fruit and vegetables, cheeses, herbs, some fish, honey and raki from small producers as well as eggs, live chicken and rabbits. 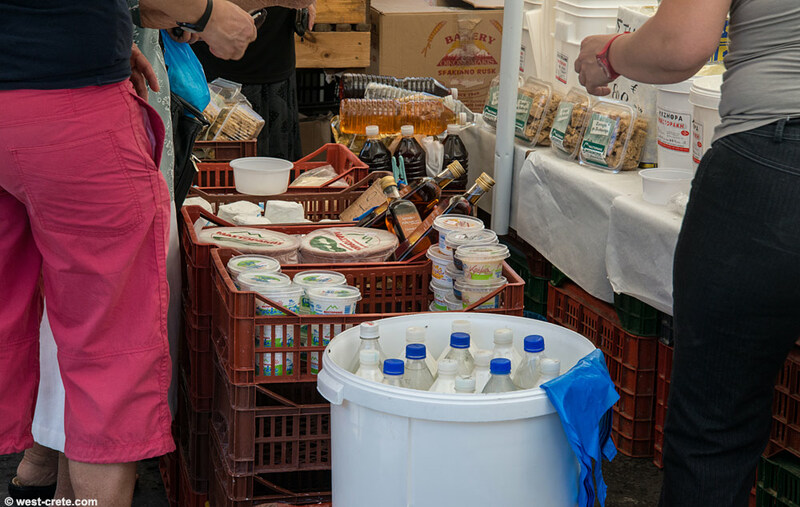 There are also quite a few stands offering organically grown products. 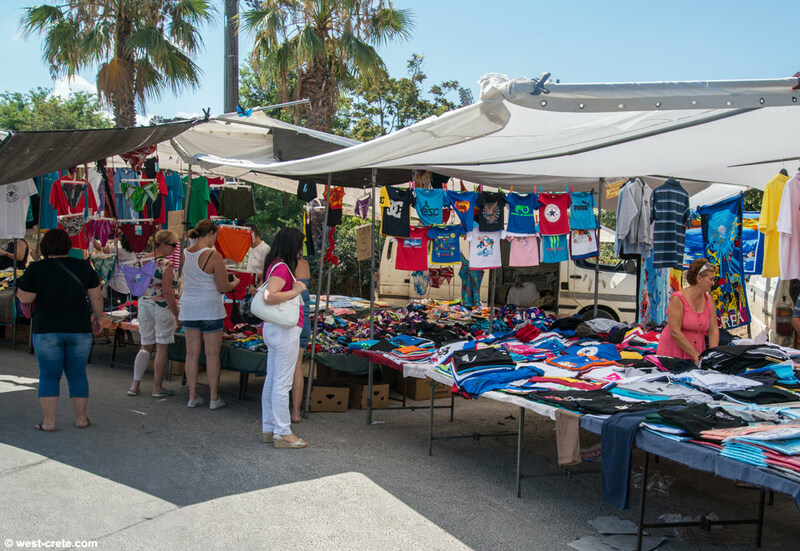 A separate section of the markets also sells cheap items of clothing and cloth. 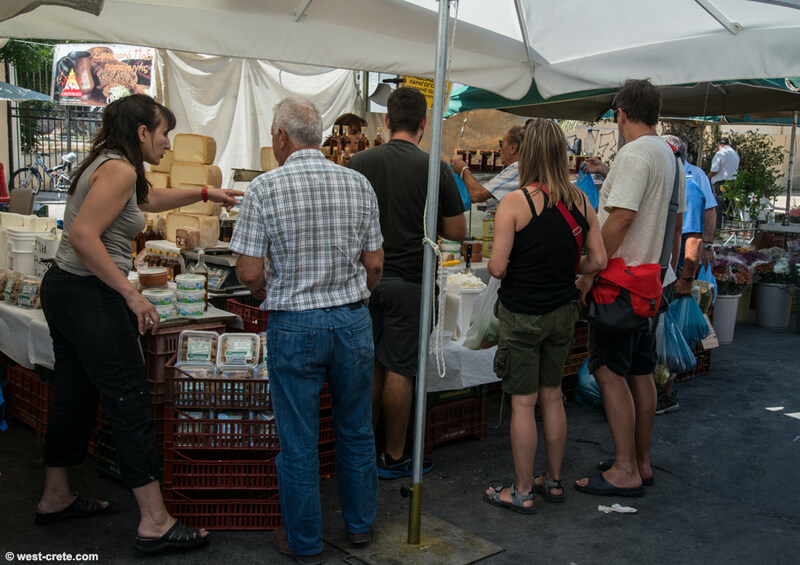 The largest and most interesting of the four markets is the one taking place on Saturday on Minoos Street, along the western fortification wall. 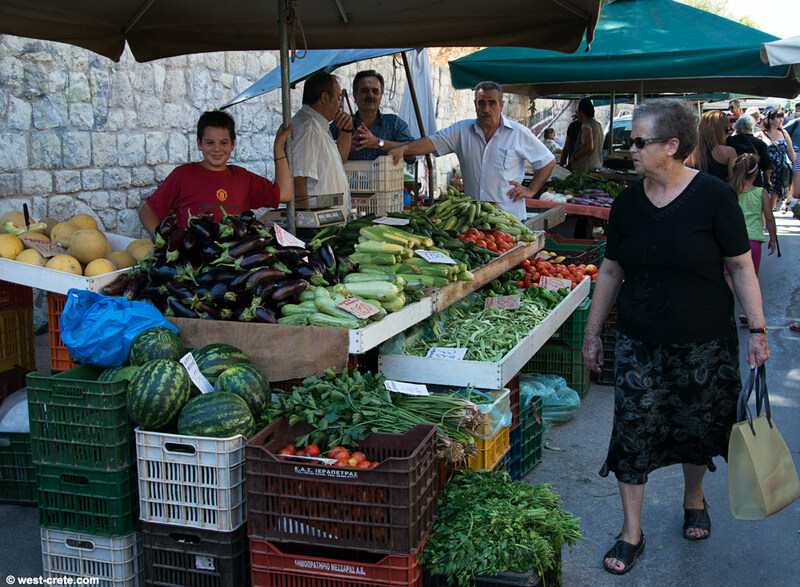 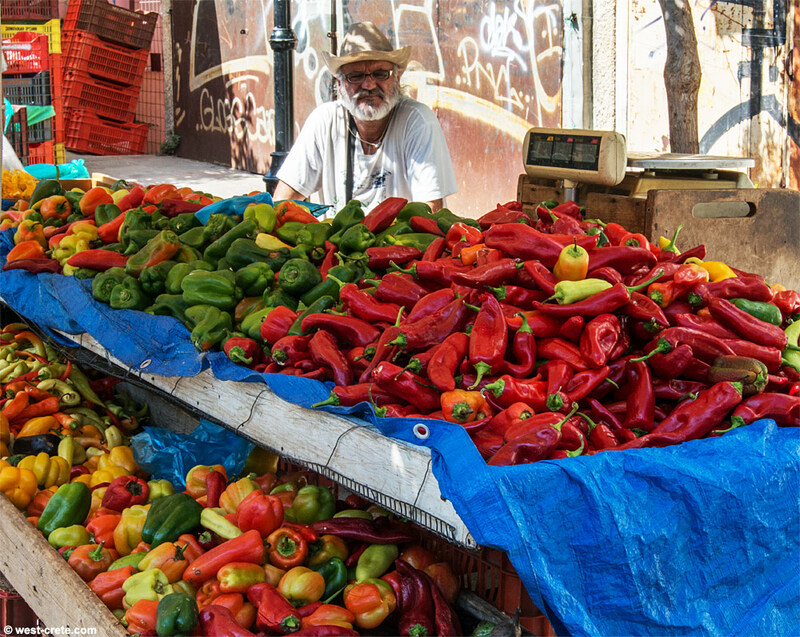 The markets run from early morning until around 14.00. 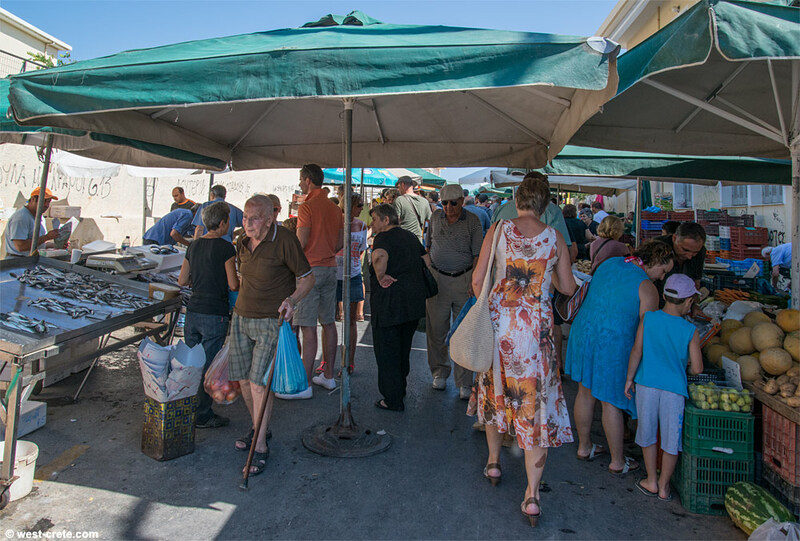 Please note that if the market day falls on a public holiday it will not take place or might be moved to another day.